It’s been confirmed that Adele will perform at this year’s Oscars in February. Her James Bond theme, Skyfall, is nominated for best original song at the ceremony. It will be the first time she’s performed live in 12 months, with her last vocal appearance coming at the 2012 Brit awards. In a statement she said: “It’s something I’ve never experienced and probably only ever will once! 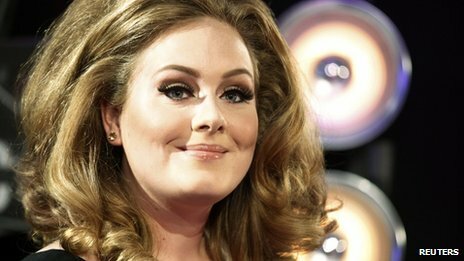 The ceremony takes place on 24 February and will also mark Adele’s debut performance of Skyfall, despite it being released in October 2012. Last year, the singer gave birth to her first child, a boy, although she’s not made his name public yet. Adele recorded Skyfall with producer Paul Epworth, who masterminded her album 21. The theme has already achieved awards success after it won the Golden Globe for best original song earlier this month. Skyfall is currently the highest grossing film ever at the UK box office with takings in excess of £100 million. 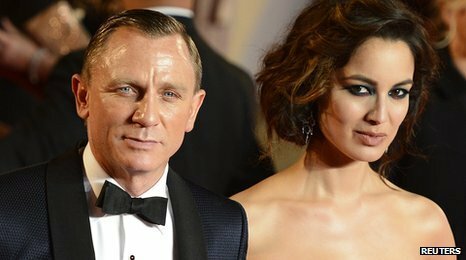 Organisers at the Oscars have confirmed there will be a tribute to James Bond to celebrate the franchise’s 50th anniversary. This entry was posted in Cinema, sounds and tagged 007, Cinema, Daniel Craig, oscars, skyfall, sounds. Bookmark the permalink.